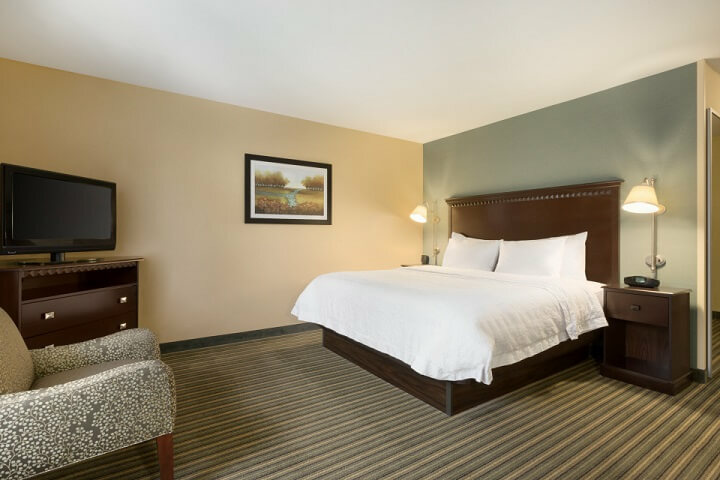 Feel at home in one of our 125 guest rooms and suites with king-sized or queen-sized beds. 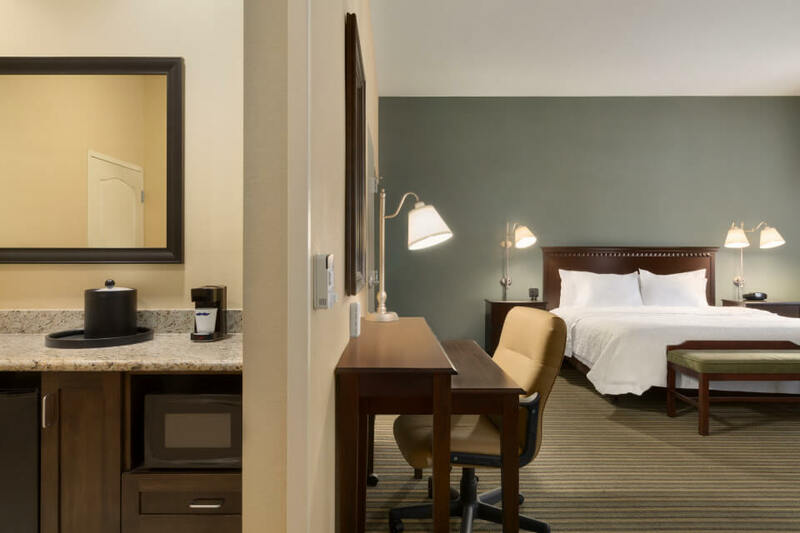 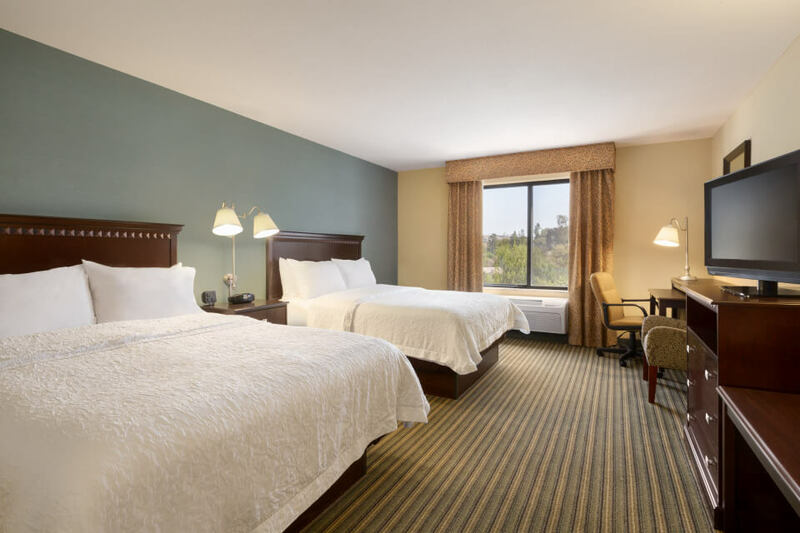 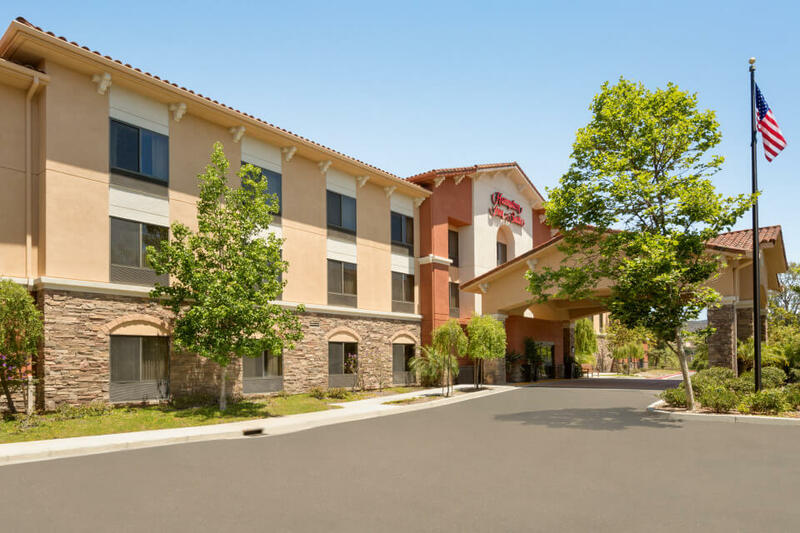 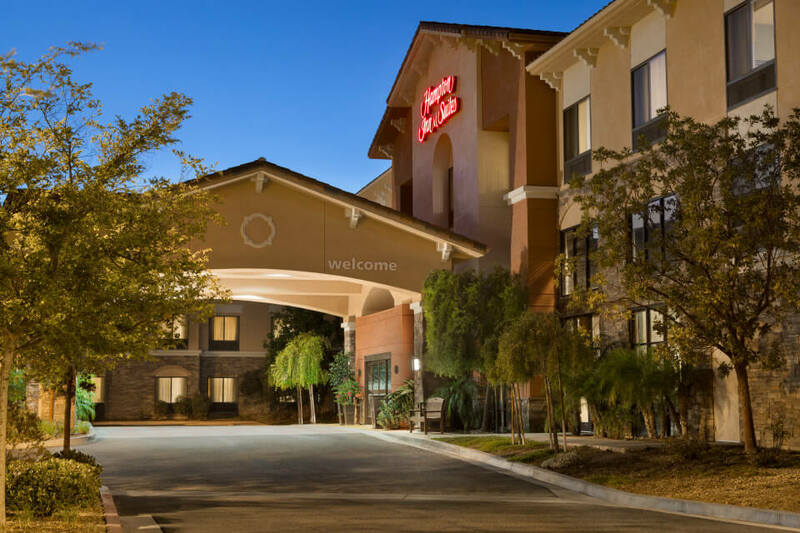 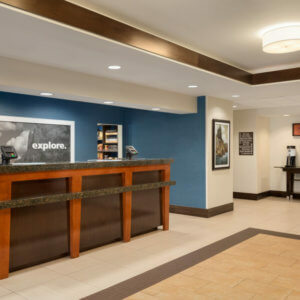 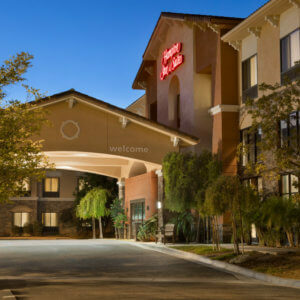 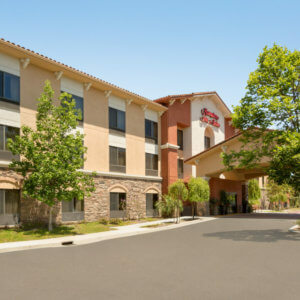 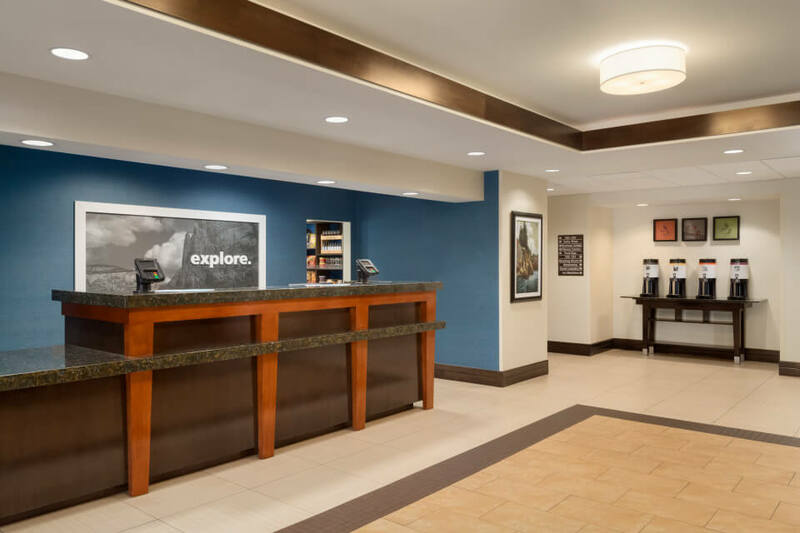 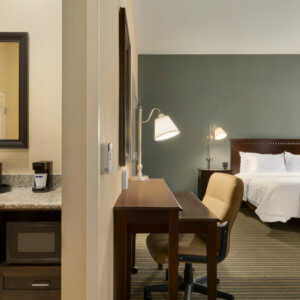 All rooms feature deluxe amenities such as free high-speed internet access and 42-inch HDTVs with premium cable. 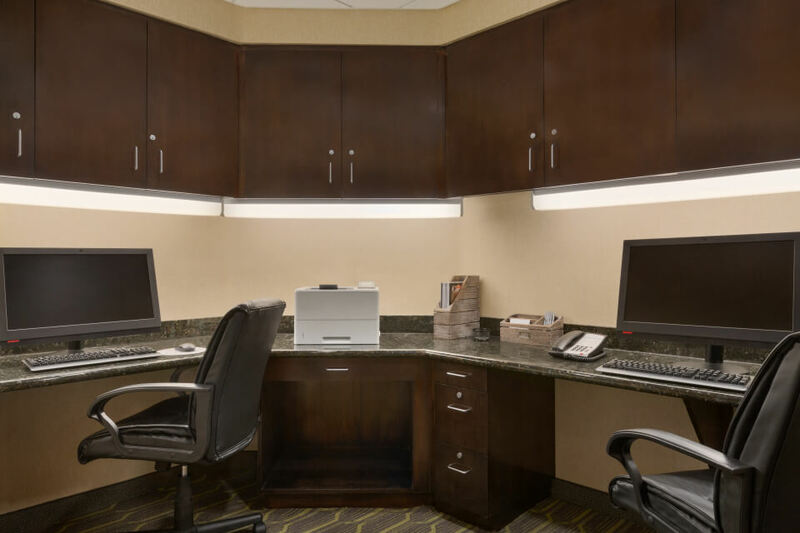 Relax or work in a suite that offers a seating area with a sofa bed, armchair and a large desk with an ergonomic chair; some suites feature a whirlpool tub. 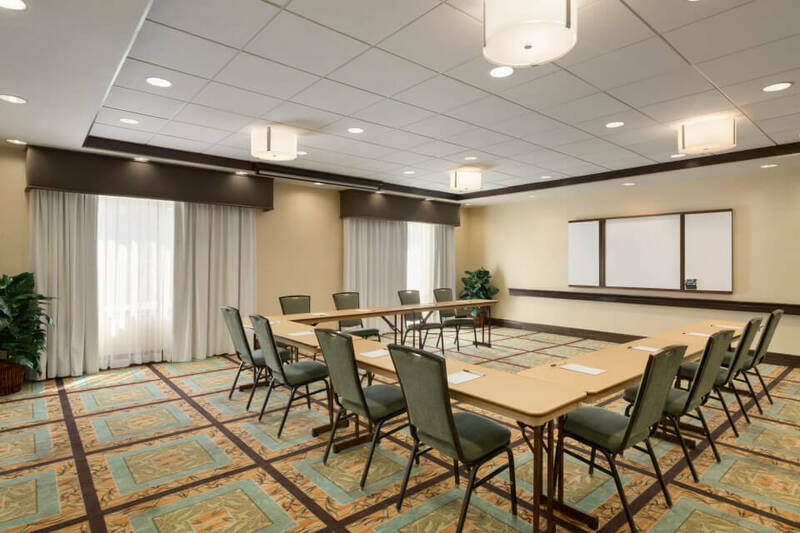 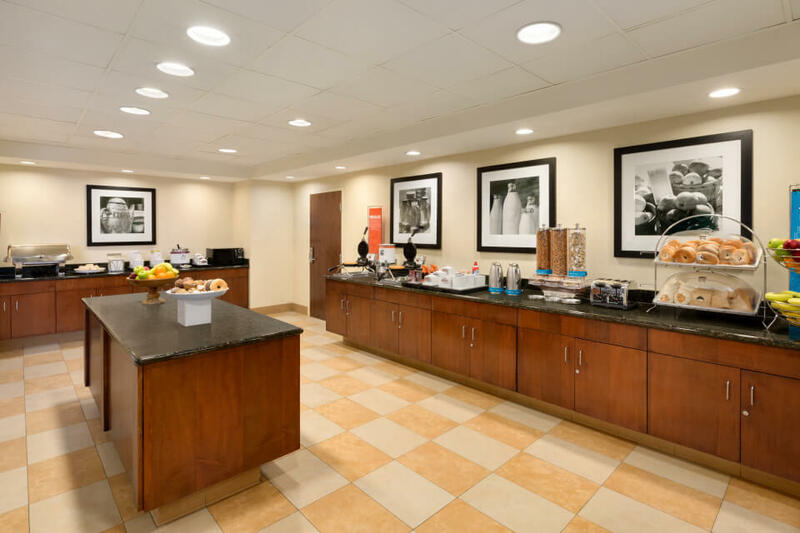 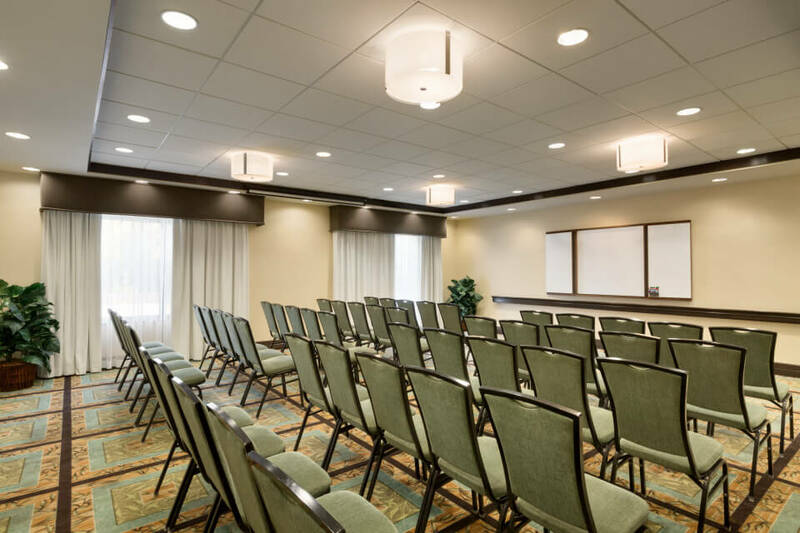 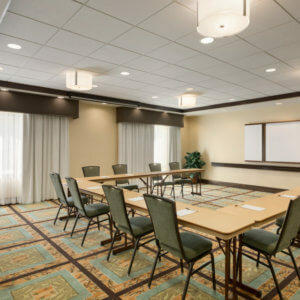 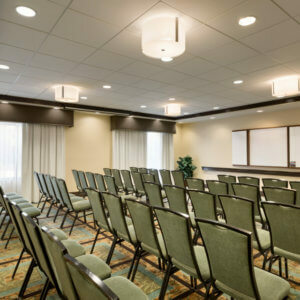 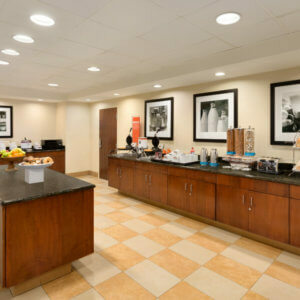 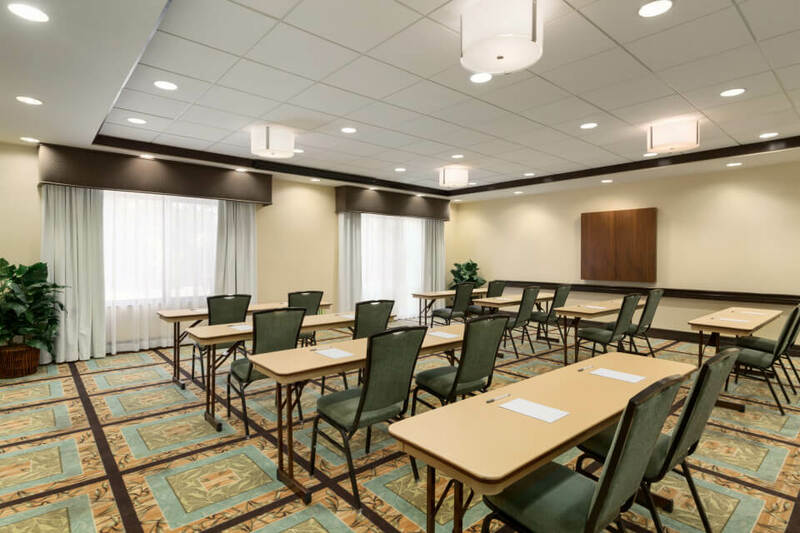 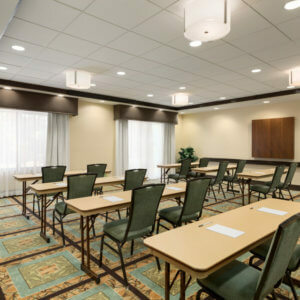 Enjoy Hampton’s free hot breakfast every morning, a business center with complimentary printing, and ample meeting space. 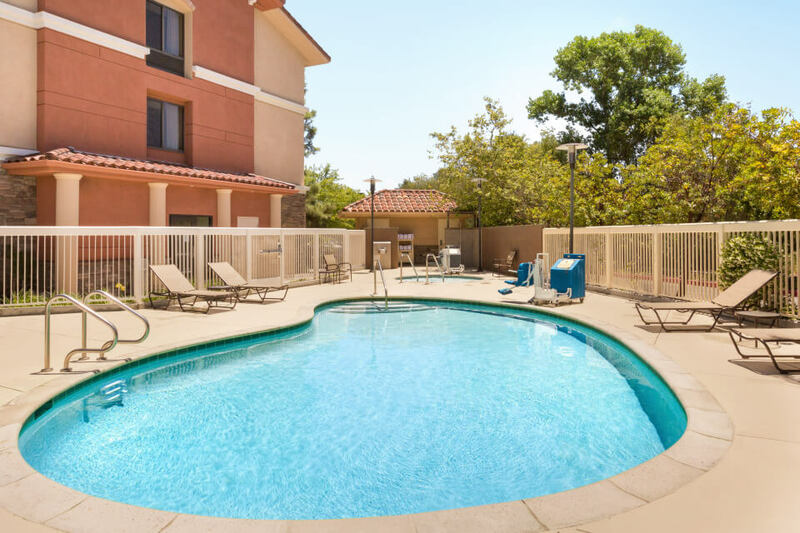 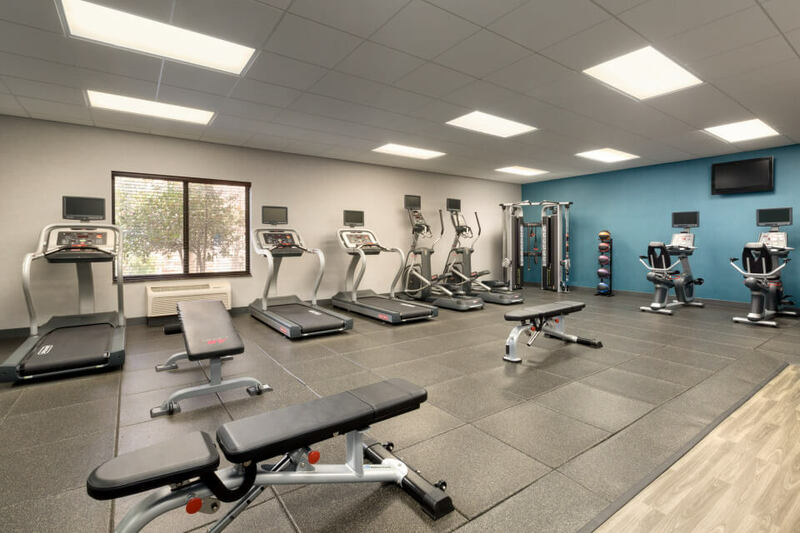 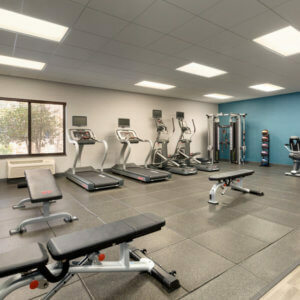 Exercise in the fitness center and refresh in the outdoor pool.